Start of a new week and crafty mojo seems to be returning! A busy day yesterday means I well and truly deserve some crafty me time! What I really should be doing is clearing out the craft room though as it seems the floor has gone missing again! (oops!) The problem isn't the size of the room, it's that there's too much stuff! Today's crafty offering comes in the shape of Lil'Inker Designs, and some Stampin' Up" Designer Series Paper. 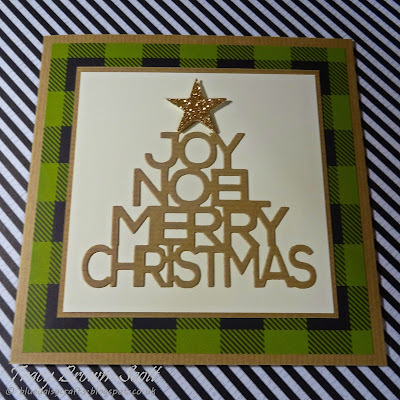 This is the Christmas Words Tree die and some Merry Little Christmas DSP. Fun and simple to make!